This trick involves the hacker calling up one of the departments of its target and claiming to be from another department. The hacker will act like he or she is in some form of emergency or bind, and need to quickly acquire certain information or access without delay. The other person (whom the hacker has done substantial research on) eventually gives up the information the hacker is after. Now you have got the basic flow of pretexting in your mind, you should remember that these hackers do not go after just the main target. They will also go up the ladder of authority (should the current target prove to be too difficult for them to achieve their goals) until they get what they want. This technique is usually employed on large-scale attacks. Phishing is the process of sending fake emails to get targets to either share valuable information or click on a link. These emails can be disguised as legitimate ones by hackers and other nefarious organizations. What happens if you click on such a link? Well, there are limitless examples of this one but let’s use PayPal as an example. Let’s say you received an email claiming to be from PayPal. Without suspecting anything fishy, you clicked on the link in the email. Next, you are brought to a page where it informs you that your account has been suspended and the only way to unlock it is to verify your account by entering your PayPal login credentials in the fields provided. Some individuals, who panicked at this point, chose to give up their information to ‘save’ their accounts. Unfortunately, they did not notice the intermediate site before they were brought to the final, PayPal-imitating site. Is there a social engineering technique that requires the lowest amount of human interaction? The answer is yes and it is called baiting. Baiting involves natural curiosity; so for instance, I can leave an infected USB device in place where there is a high chance you will find it. You then take it and out of curiosity insert it in your computer to see what’s inside the device. After doing that, the malware stored inside the USB automatically installs itself in your computer. This gives me the opportunity to get into your important files and systems. 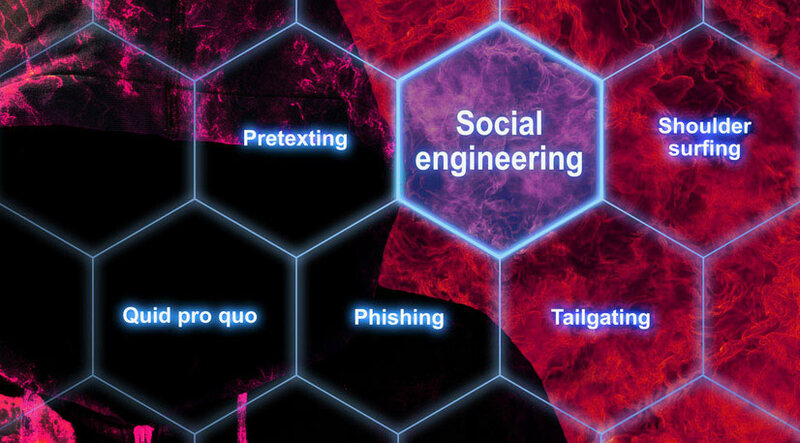 Can You Avoid Becoming a Victim of Social Engineering? Individuals or businesses that have the budget can also conduct penetration tests on their network, computer systems, and more. All in all, you have to stay vigilant and be very wary of your surroundings. If something seems suspicious or too good to be true, it more than likely is. If you have been tasked to handle and work with very sensitive information on-site or remotely, it is always best to practice extra caution. For instance, you can use a proxy while facilitating your work (you can find out more about private proxy servers here).